In this short novella, Dr. Shapre swears to 'go straight' and stick to academic pursuits. 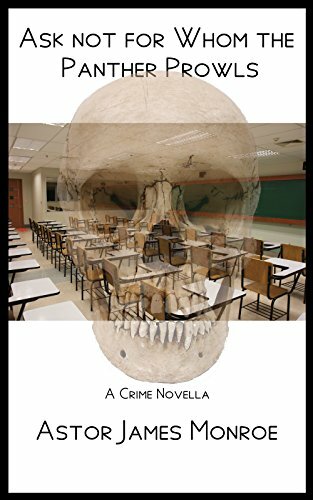 He is dragged into a series of polite poisonings after a student in his 'Physics for Poets' class dies of an apparent heart attack. Someone is slowly knocking off the undergraduates and the only common feature of the victims seems to be their involvement in an on-line English course. Is it? Roger Verbeck-Flagellum and Muggs, a millionaire bachelor and his ex-thug partner pursue a criminal mastermind known as the Black Star, a criminal with no Robin Hoodish tendencies but with great organizational skills and considerable panache. The heiress of Styles has been murdered, dying in agony from strychnine slipped into her coffee. There are plenty who would gain from her death: the financially strapped stepson, the gold digging younger husband, and an embittered daughter-in-law. This is a work of detective fiction by Agatha Christie and first published in January 1922. The book introduces the characters of Tommy and Tuppence who feature in several other Christie books and stories throughout her writing career. This novel is an interesting mystery set in New Orleans at Mardi Gras involving a young woman, a young man, and an older man who are involved in a mystery of masques, burglary, a mysterious art theft, murder, fraud and illegal lotteries.